Research from a trusted source confirmed that one of the thing these online shops deprive people of is the feel of walking from the aisle of one shopping centre to the other; really that experience is really fun and it is really a disadvantage to online shopping; But come to think of it, do you know with you putting on your virtual reality glasses you can actually get the feel and the same experience of walking through the aisles of shopping centres, yes it is real, and even right in the comfort of your room, you can have all of the fun of going for shopping. Think about putting your virtual reality glasses on and being instantly taken to a virtual reality store customised just for you. This in reality is already a multi-billion [if not multi-trillion] dollar market. Virtual reality in this case could reduce the operational cost and improve the lead qualities by making the real estate business far better than it has been. Think about using Virtual reality in building design centers, real estate marketplace, interior designs, neighbourhood tours, rental website and so on. That would definitely go a long way in changing the whole game. It is of no doubt that health care centers has really been trying to adopt the usage of bee technological inventions into their sector, as this would really go a long way in helping them deliver their works efficiently; Virtual reality is one of the technological inventions that the health care sector are planning to adopt as the use of this can not be overemphasised in the sector. From this we can tell that private clinics will take the lead in bringing innovations like this to lives of patients while at the same time investing in the real benefits behind virtual reality. In few years time our technicians will have the opportunity of going for workshops and training programmes for the so called hazardous jobs we have in the society. The technicians would get the opportunity of maximizing the use of virtual reality in certain intense situations from the luxury of a conference room, even before they would have to come across such situations in real life. The integration of virtual reality into education has a lot of potential that has not being looked into yet. As we know, virtual reality is a limitless tool that allows immersion into a totally new environment, and if used maximally, could actually be open the eyes of students to things that are impossible otherwise. In all areas of education, Virtual reality has always proven to not only deliver content but to do it attractively and would do more if used for intensive learning experiences. 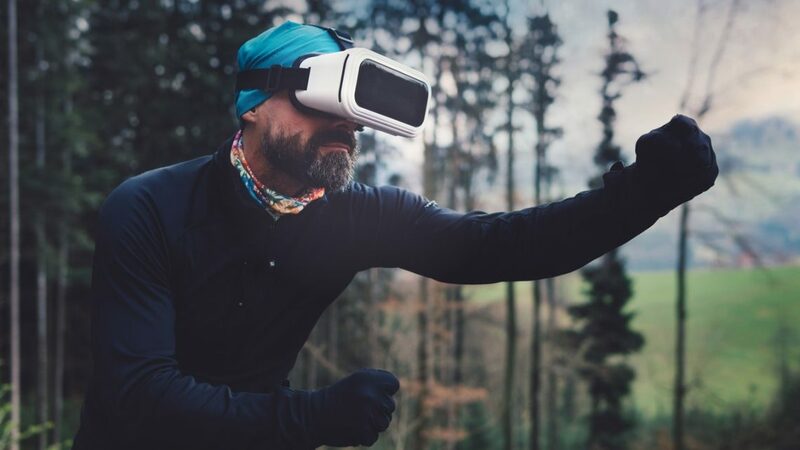 Quite a lot of people out there is actually longing to have immersive exercise experiences. But it saddens my spirit, as most people who takes cycling as a hobby do it mostly on a stationary bike at home without a change in the scenery. Have you ever thought of you being at home but riding through the French countrysides or down the streets there at Amsterdam, with all the interesting views around. Though the purpose is to get exercised but yet the interesting side looks is very important too. In conclusion, the sincere truth is that Virtual reality has been preparing to go mainstream for a long time, but we should not be deceived, as the future of virtual reality is not just gaming or will be limited to these headsets sort of a thing you are used to seeing. The virtual reality of the future would be able to change how we see and learn about the immediate world around us, not just gaming-wise but in all aspects and areas of life we could ever think of. My word of advice for the people out there is for them to prepare to receive these things as we are really working relentlessly from our end to see that these proposed achievements is achieved in due time.